As a forester, I need a basic understanding of local climate to guide site-specific decisions –decisions like what species to grow and how many trees per acre to plant. 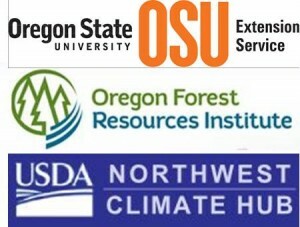 With all the ongoing studies of climate change, I have been looking for practical information relevant to climate and trends affecting forests in Oregon. At an Extension Forestry conference in 2006 in Fairbanks, Alaska, I learned that increased temperatures over recent decades in Alaska had noticeably extended the growing season, melted permafrost, and exacerbated recent forest fires. This stimulated me to learn more about climate science related to my location in Oregon, where I had not really noticed any warming trends amidst the year to year variation in the weather. Climate change is predicted to accelerate through the 21st century, leading to changes in forest species distribution, productivity, and disturbance regimes¹. These changes may have profound impacts on the public and private benefits from forests; as well as managers’ strategies to sustain these benefits into the future. 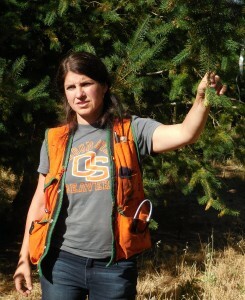 As our understanding about potential climate change impacts on western U.S. forests improves, land managers are developing adaptation strategies to meet these challenges.